The major benefit of switching from the deterministic frameworks for damage stability of the past to the current performance-based state of the art is the ability to have a measurement of the level of survivability of any given design. The required level of survivability is probably the key parameter in any probabilistic framework, in essence answering the question “how safe is safe enough?”. To this end, survivability analysis results on representative cruise and Ro-Pax ships can be related to design and operational parameters with a view to define and quantify the relationships between damage survivability characteristics following a collision and time available for evacuation with potential outcomes in terms of people potentially at risk. For this paper, established numerical methods for the measurement of performance-based survivability have been utilised and used as benchmark against available analytical methods in an attempt to define a rational requirement for the level of survivability. 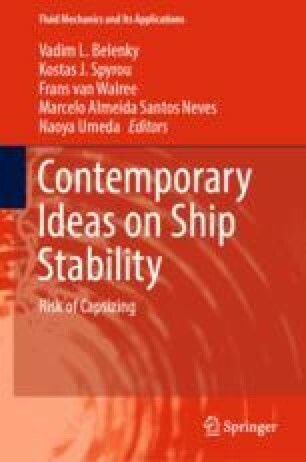 The authors would like to express their gratitude to their colleagues within the Ship Stability Research Centre (SSRC) of the University of Strathclyde as well as all those involved in project GOALDS for their valuable contribution.